· Job seekers have said that employee wellness programs like this are very attractive to them when looking for a job. 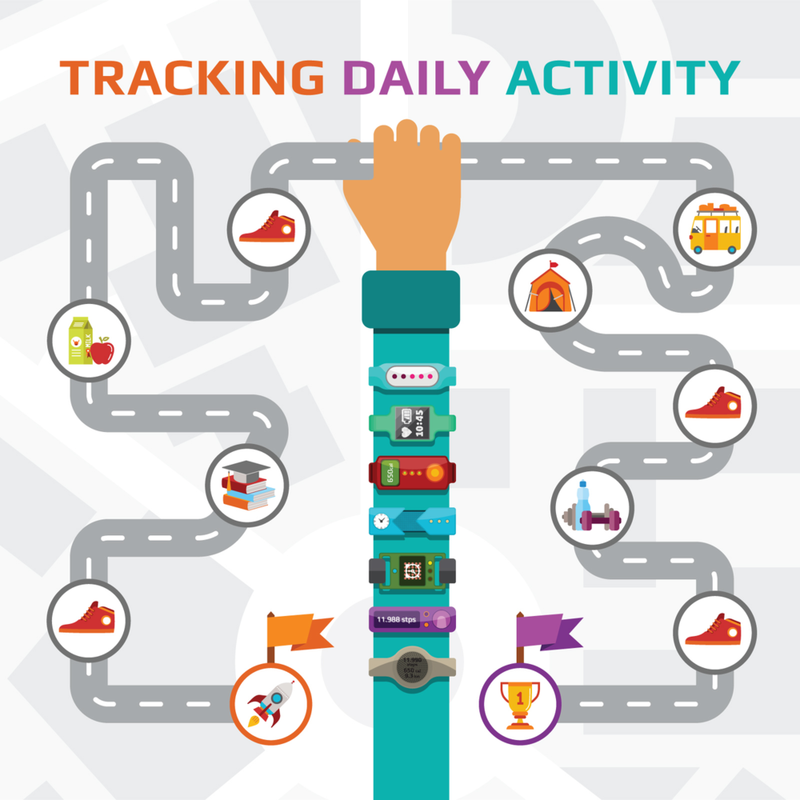 · Millennials are already wearing these devices and say that employers who invest in their well-being increases employee morale. · Employee healthcare costs are reduced. · Improved productivity including fewer disruptions from sick days. No one foresees needing disability benefits. But, should a problem arise, the educated and informed employee can plan for the future by purchasing disability insurance to help cover expenses when needed. When you ask people what is the number one reason disability insurance is needed, most will answer that it is for workplace related injuries. However, the leading causes of long-term absences are back injuries, cancer, and heart disease and most of them are NOT work related. In addition, the average duration of absences due to disability is 34 months. So how do you prepare for an unplanned absence from work as a result of an injury or illness? Disability insurance is a great option. Disability insurance is categorized into two main types. · Short Term Disability covers 40-60% of the employee’s base salary and can last for a few weeks to a few months to a year. There is typically a short waiting period before benefits begin after the report of disability. This plan is generally sponsored by the employer. 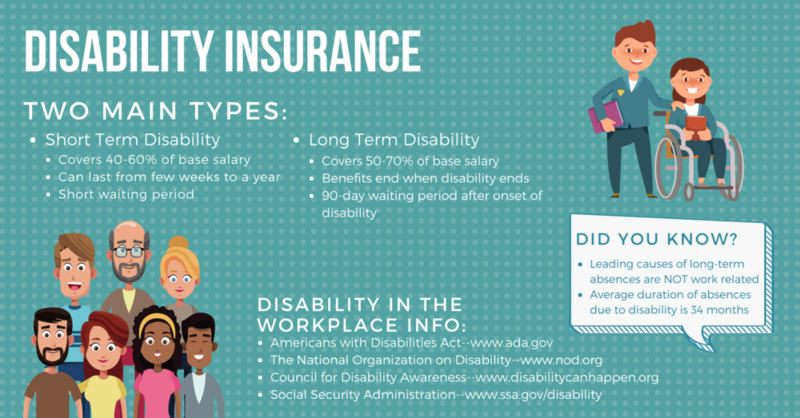 · Long Term Disability covers 50-70% of the employee’s base salary and the benefits end when the disability ends or after a pre-set length of time depending on the policy. The wait period for benefits is longer—typically 90 days from onset of disability. This plan kicks in after the short-term coverage is exhausted. The individual purchases this plan to prevent a loss of coverage after short-term disability benefits are exhausted. While the benefits of these disability plans are not a total replacement of salary, they are designed for the employee to maintain their current standard of living while recovering from the injury or illness. This also allows the individual to pay regular expenses during this time. There are many ways to enroll in a disability insurance plan. Often times your employer will offer long-term and short-term coverage as part of a benefits package. Supplemental coverage can also be purchased. Talk with your company’s HR department for more information on how to enroll in these plans. Individuals who are interested in purchasing supplemental coverage can also contact outside insurance brokers or even check with any professional organizations to which they belong (such as the American Medical Association for medical professionals) as many times they offer insurance coverage to members.